Royalty-free vector illustration of a successful businessman dropping money in to a piggy bank while giving the thumbs up sign. He’s got a huge smile and looks like he’s proud of himself! Royalty-free vector illustration of an elated businessman walking away with a wheelbarrow full of gold. He’s wearing a gigantic smile and there’s a mountain of gold in the background. Good job! 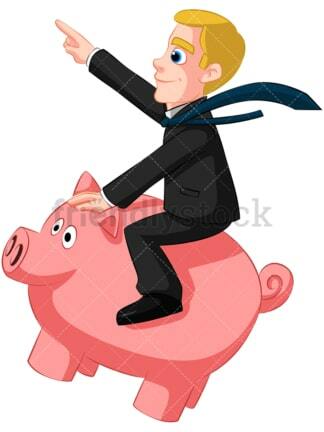 Royalty-free vector illustration of a businessman riding a life-size piggy bank as if it were a horse. He’s holding one arm up as he charges forward, tie blowing in the breeze. 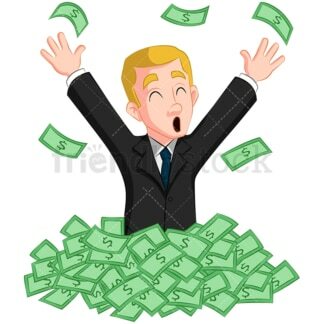 Royalty-free vector illustration of a victorious businessman standing in a mountain of cash and throwing bills into the air. Looks like he just made a fortune! 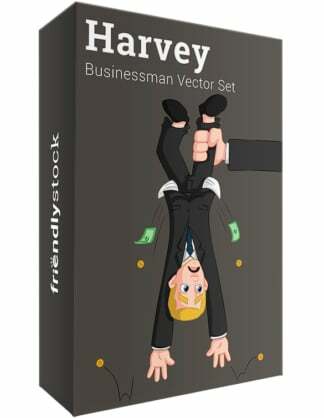 Royalty-free vector illustration of a grinning businessman holding two large bags of money while standing up and smiling. Mr. Money Bags! 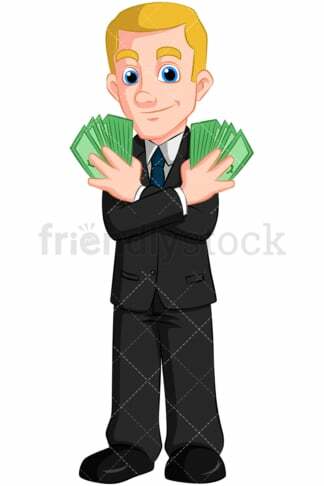 Royalty-free vector illustration of a businessman holding a large magnet that’s attracting money. Dollar bills are flying towards him as he tries to keep his balance! Royalty-free vector illustration of a smug-looking businessman sitting atop bags of money and amongst piles of cash and coin. 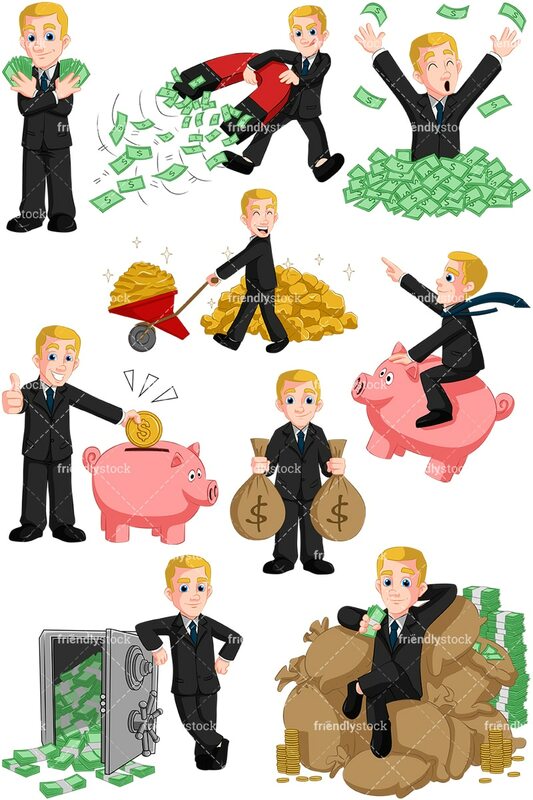 Royalty-free vector illustration of a bragging businessman showing off his money by displaying a fan of cash bills in each hand. Better hold on tight! 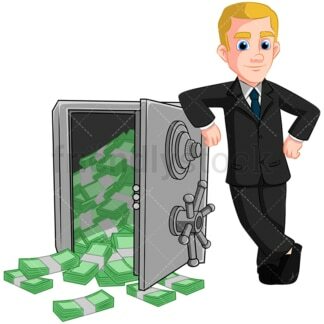 Royalty-free vector illustration of a protective businessman standing next to an open safe as cash piles overflow from it. His look says he’s a bit wary of you, so don’t try anything!